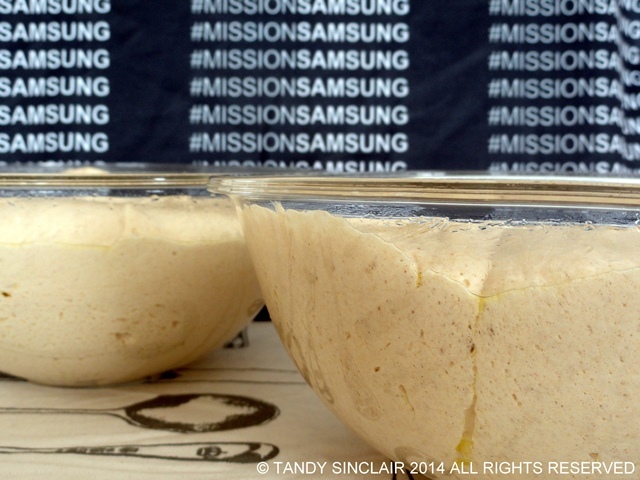 I am competing in the #MissionSamsung challenge where I get to use and review a Samsung Smart Oven for three weeks. The first challenge is Weekend Night Feasts and I had to prepare the ultimate gourmet pizza. When I took delivery of the Samsung Smart Oven last week the first thing I noticed was the auto fermentation feature. I am an avid bread maker but sadly my cottage is not that conducive to baking bread. The cottage gets very little sunlight – something we will remedy in time. However, during winter my bread making is severely restricted to using my bread maker or waiting for a warm day. I literally jumped with joy at the bread proving function as I have only ever seen this on The Great British Bake Off. There are five pre-programmed auto fermentation cook functions which means you do not need to set the time or the power level, however, they can be adjusted if need be. These five programmes are for pizza dough, cake dough, bread dough and home made yoghurt (small dishes or a large bowl). It has been so long since I last made yoghurt that I might just give it a try. For the pizza dough it was as simple as making the dough, placing it into a glass bowl, covering the bowl with cling film and then placing the bowl in the centre of the turntable onto the lower rack. You close the door, press the auto fermentation button, select which programme you want and press start. 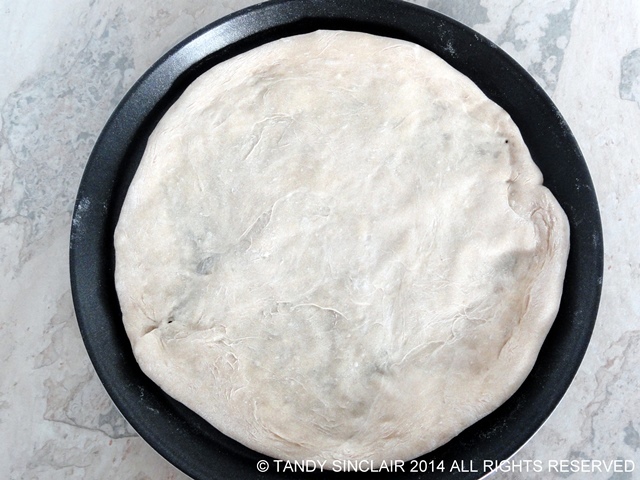 For pizza dough, the proving takes 40 minutes. James had asked if he could come for supper and when I asked him what his favourite pizza topping was he told me it is bacon, avocado and feta. This is usually my go to pizza topping combination and I will order this no matter where we are in the world. 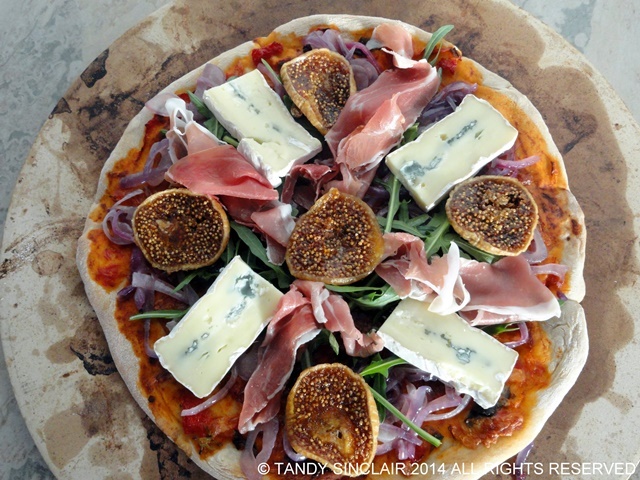 For my gourmet pizza I chose caramelized red onions, brie, figs, rocket and Parma ham. I left my red onions on the stove to slowly cook down while I prepared the pizza dough. The brie had a bit of blue running through it which really complimented the figs. I chose to use soft, dried Turkish figs as fresh figs are not in season right now. Dave’s pizza was topped with gypsy ham, mushrooms and fresh red chillies and Carli had a traditional Hawaiian pizza. Pineapple is the one fruit I buy ready cut as I don’t like the wastage when trimming them myself. If Mark had been with us he would have asked for a carne pizza, with as many meat toppings as possible. Do not panic - the dough will come together! Once you have baked the pizza bases for 5 minutes you can set them aside to use as needed, or freeze them to use later. Cool on a wire rack before placing them onto a board or into freezer proof packaging. Hi, I recently made pizza in the samsung oven and though it tasted ok,the dough was dense. I wanted to ask if yours was the same. It wasnt light as the restaurant pizza. I used a perforated pizza pan. My pizza dough recipe gives a nice, light pizza. Which recipe did you use? Adore that figgy topping. Currently glued to this series of GBBO btw. You just got me craving pizza…. it looks delish! Bacon, avocado and feta? mmmm … I’m not sure I’ve seen that on any menus, but it sounds delicious! I think that’s going to be on the menu next time I try homemade pizza! Hi Tandy, how wonderful to be able to be part of this challenge, your pizza’s look wonderful, love every single combination! The oven sounds like a dream Tandy. Love your pizza toppings. Homemade pizzas are the best! Especially when you use homemade dough. I like the sound of the bacon, avocado and feta combo! I will ask for that next time 🙂 And I usually prove bread and make yogurt in a very low oven. I turn it on to 40-50C and then turn it off and there’s enough residual heat to prove things. 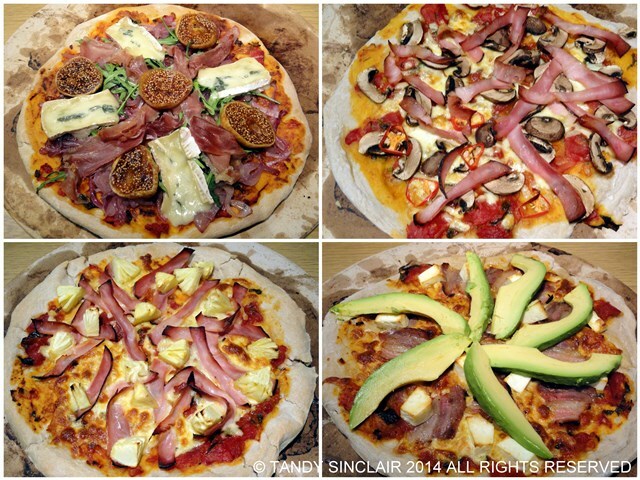 The oven sounds amazing and I love the pizzas – fig and blue cheese for me please! I am so going to make this again! 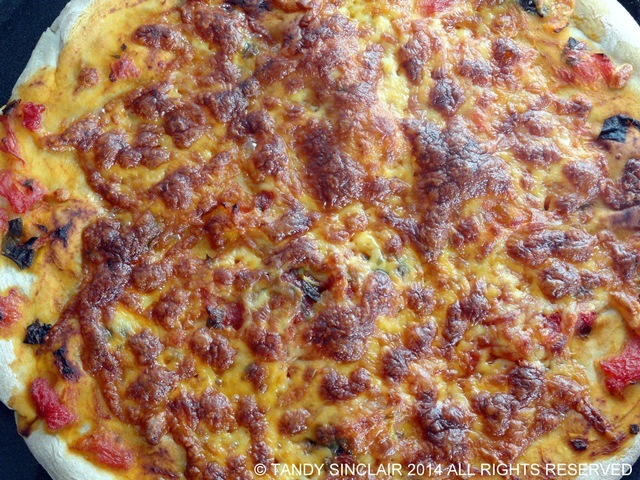 Oh,your pizzas look fab – Tandy and good luck!